Hyper-local grocery and fresh food delivery platform Grofers has paused operations in Delhi and parts of NCR. Grofers will not deliver orders for Delhi and Noida till Thursday as the startup is dealing with last-mile delivery issues, sources said. Speaking to Techcircle.in, Albinder Dhindsa, co-founder and CEO, Grofers, said: "We are not starting Noida operations for the time being. We are facing some operational issues in Delhi-NCR and we are sorting these out at the moment,"
Though Dhindsa did not elaborate, he said that there would not be any job cuts at Grofers, which is run by Gurgaon-based Locodel Solutions Pvt Ltd. The startup currently employs 4,000 delivery boys across 25 cities of its operations. The Grofers app is expected to be partly dysfunctional for the NCR region till Thursday. On the Grofers app, offline stores stores in Delhi and Noida show a "closed" sign. Founded by Saurabh Kumar and Albinder Dhindsa, Grofers allows users to order products ranging from grocery to pet supplies and electronic products online. It enables delivery within 90 minutes. Grofers, which operates on a marketplace model, fulfils about 30,000 orders daily. In August, Grofers had raised $35 million (Rs 218 crore) more from existing investors Tiger Global Management and Sequoia Capital. 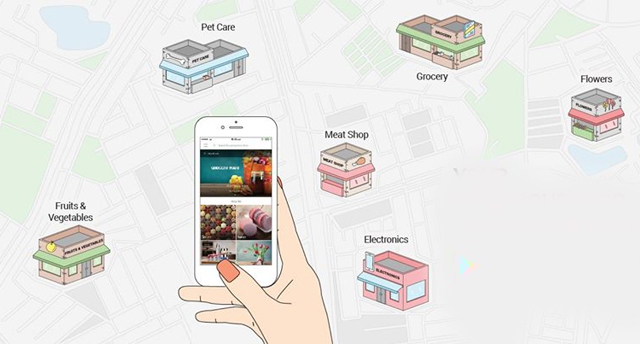 Grofers competes with other grocery marketplaces such as PepperTap, ZopNow and others. Inventory-led firms such as EkStop (a Mumbai-based e-grocery which was acquired by Godrej Nature's Basket), BigBasket and LocalBanya can also be counted as Grofers competition. Update: Grofers started delivering in Noida & Delhi on October 20. Grofers Grofers India Pvt. Ltd.